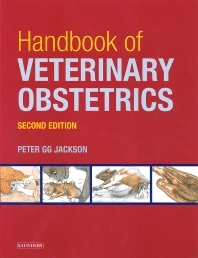 Comprehensive, practical, and easy-to-read, this unique handbook provides a clear guide to veterinary obstetrics in large and small domestic animals. A detailed description of normal birth helps readers immediately recognize abnormalities and provides a baseline against which dystocia and its treatment can be measured. The causes of dystocia encountered in each of the domestic species are described, with notes on some exotic species. Coverage also discusses the immediate care of the mother and offspring following delivery, as well as problems that occur post-parturition. Practical guidance is provided for managing obstetric cases. Superb illustrations help readers understand problems and interventions. Advice is provided on pre-natal care and the prevention of dystocia. Common causes of dystocia are explained, species by species.